Bad things may happen anytime on your WordPress site. So creating a regular backup is very essential in order to save your database and other valuable contents. There are several WordPress plugins designed for the purpose. They do automatic backups at regular intervals and will send it to your cloud or mail account. In times of data loss, you can restore the website in a single click. Now we list best of backup plugins in WordPress based on their popularity and advanced functions. Backup WordPress is an efficient choice to back up your entire contents like database and other files. It is easy to use and can be configured even by the basic users without any hassle. UpdraftPlus is one of the best backup plugins to safeguard your WordPress contents. 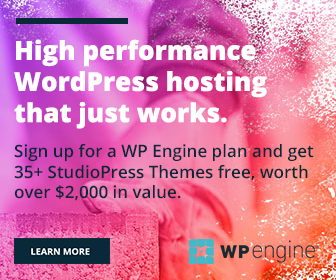 You can back up the entire site including themes, plugins, content, and others using the plugin. Backup Guard is one of the free backup plugins that let you create unlimited backups and store them in multiple destinations. Backup both files and database or choose folders to back up, and restore them whenever needed. BackupBuddy is another popular plugin in this category. It is a subscription-based plugin for which you need to pay $48 for one site, $77 for up to 10 sites per year. With $119 annual Gold plan subscription, you can backup unlimited sites. Save backup files to Dropbox, Amazon S3, Rackspace Cloud or send it to your mail. BackWPup is a perfect solution for backing up and restoring the site. It’s one of the most downloaded backup plugins with premium quality features. Duplicator is an all-in-one solution for duplicate, clone, backup and more a WP site from one location to another. It is easy to use and allows you to back up on a daily, weekly basis.